Umbrellas have come a long way since weather wear accessories that were designed to keep the sun and rain away. These days you will find a lot of interesting futuristic designs that bring together not just the functionality of umbrellas but many added features like speakers or even USB that will enable the users to carry their beats and business files all at once! Regardless of the industry you’re in, these trending custom umbrellas will make a smart handout to keep your brand over the competition and prop it over the crowd literally! Beat the marketing storm with ease with these logo items that will make heads turn! 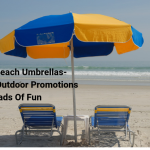 7 Ft USB Market Umbrellas These are great promotional products that will enhance your brand image and highlight your fashion forward credentials. 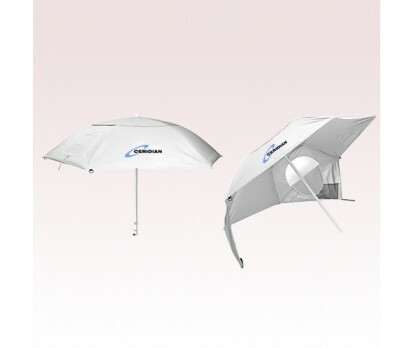 Tech companies, resorts, and corporate businesses can make these custom market umbrellas with powerful solar charging USB capability their promotional items. These umbrellas feature USB charger that is built into the pole that can charge up to two tablets or cell phones at a time. Another highlight of these custom umbrellas is a steel frame and 8oz UV treated Polyester fabric that will keep the users cozy and comfortable on a day out in the beach or picnic. 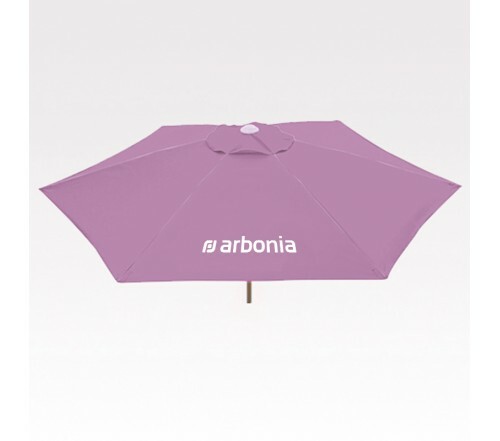 Your brand and message will stand out on these massive umbrellas that are available in a range of solid colors. Beach Umbrella Sun Tent Sports Shelter This is another interesting model in multi-purpose custom beach umbrellas which everyone will find interesting. 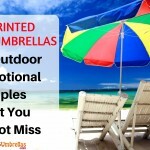 These can be used as sun tent, rain shelter or a beach umbrella. 6 panels, 8.5” canopy and attached side flaps for added protection are the main features of these umbrellas. Rugged polyester canopy gives a strong yet beautiful look while the side zippered windows and top wind vents ensure ample air flow, thereby keeping the users cool and comfortable even on a hot and sultry day out. Customize these umbrellas with your brand and message to make it a high visibility billboard for your brand. 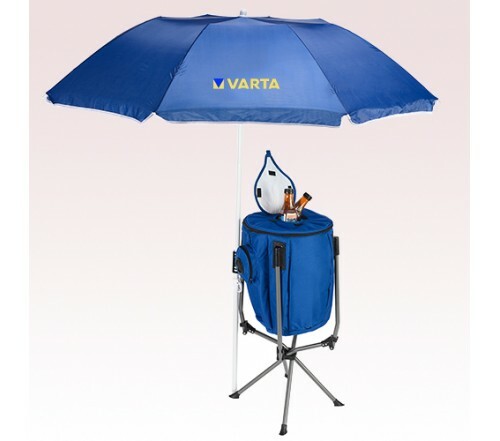 6 Ft Umbrella with High Stand Cooler and Speakers: Take your outdoor fun to the next level with these custom umbrellas with cooler and speakers that will ensure a steady supply of chilled beverages and music all at once. Ideal for parties, camping and other recreational/promotional events, these umbrellas will make your message sound better literally! 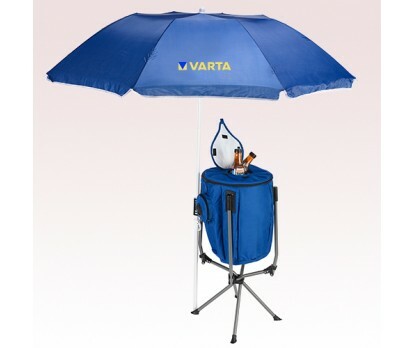 Carry bag and shoulder strap is also made available with these custom umbrellas to make it easy to carry them. 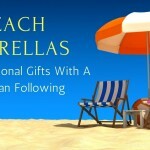 Did you find this post on futuristic umbrellas interesting? Be the first one to share and spread the word across your favorite platforms.